SOFIA, July 6 (Xinhua) -- Chinese Premier Li Keqiang met here Friday with his Slovak counterpart, Peter Pellegrini, and the two sides pledged to boost cooperation on regional interconnectivity projects. China and Slovakia have a traditional friendship, said Li, who arrived in Sofia on Thursday for an official visit to Bulgaria and the seventh leaders' meeting of China and 16 Central and Eastern European countries. As the next year marks the 70th anniversary of their diplomatic ties, China and Slovakia should seize the opportunity to further deepen political mutual trust and practical cooperation on the basis of respecting each other's core interests and major concerns, Li said. Li said China welcomes Slovakia to participate in the first China International Import Expo, which is due to take place later this year in Shanghai, and promote competitive Slovak products to Chinese consumers. Slovakia enjoys a unique geographical advantage, and China is glad to see countries in the region improving interconnectivity, said the premier, adding that China is ready to discuss possible cooperation with Slovakia on railway and automobiles. The two countries, he suggested, should also step up financial cooperation and further facilitate bilateral trade and investment. For his part, Pellegrini said Slovakia is willing to boost cooperation with China in various fields. 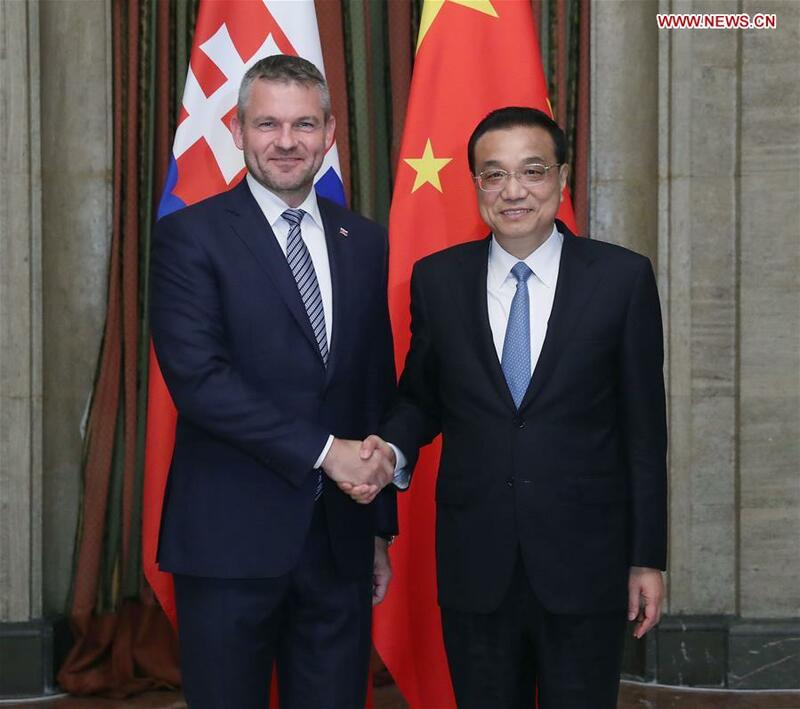 Slovakia, he added, is ready to give play to its geographical advantage and discuss possible cooperation with China on connecting the four countries in the region with high-speed railways as well as on broad-gauge railway projects. Pellegrini also expressed the hope for an agreement as soon as possible on exporting Slovak dairy products to China and a more efficient customs clearance process in both countries. He added that his country welcomes Chinese banks and postal services to set up representative offices in Slovakia.